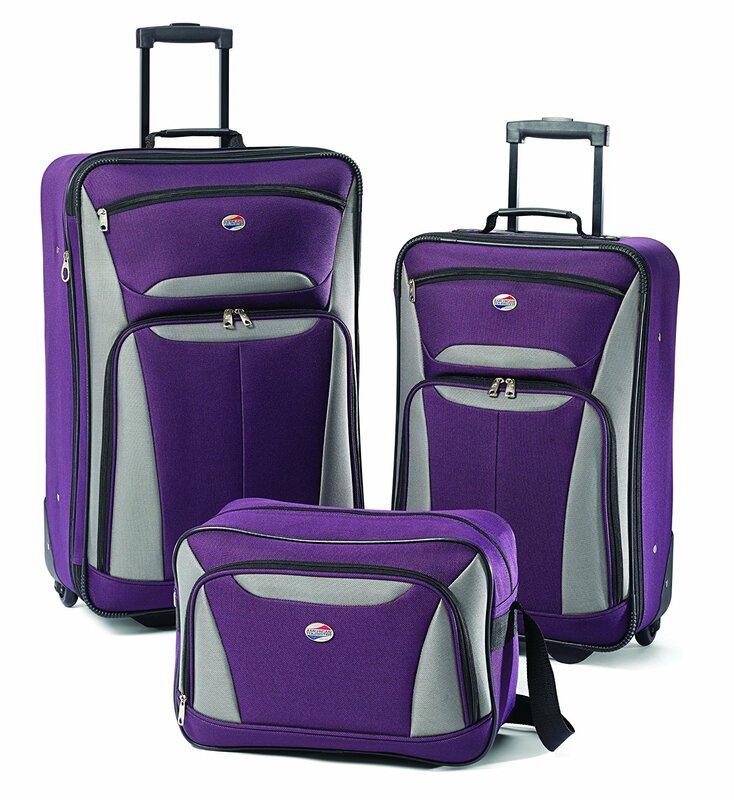 What are the dimensions of the smaller of the suitcases with wheels? The large one is 26″ x 17″ the middle one is 21″x 14″ and the tote bag is 16″x 10″. How is actual size of luggage? The set features the PERFECT sizes for a couple to travel with. My wife uses the largest which is about 25.5″ tall, 17.5″ wide, & 8″ deep. Then I use the medium bag which is about 21.5″ tall, 15″ wide, & 7″ deep. Finally, the smallest works as a carry on at a perfect size of about 18″ wide & 12″ tall. The medium bag can be used as a carry on? The medium is the size of a carry on. Are there 4 wheels? what is the weight of the largest one? Hello, they only have 2 wheels. I don’t know the weight but I can say is those luggage’s are lighter then most the luggage’s I ever had.